Around 70,000 people protested the Japanese government’s plan to relocate a US air base within Okinawa island. 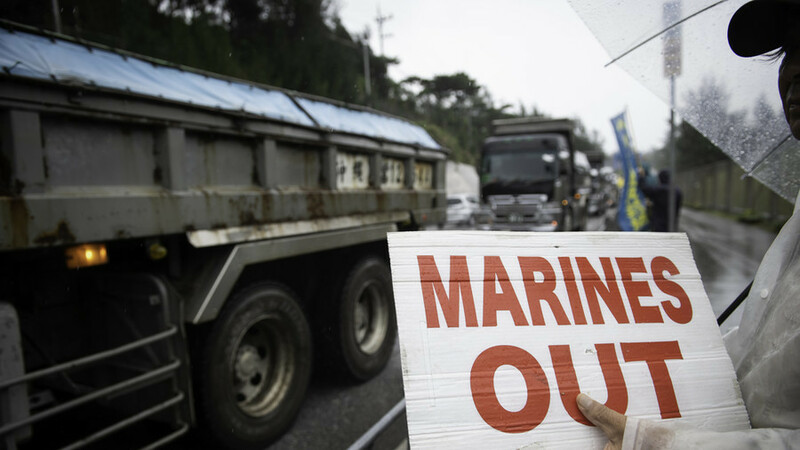 Locals say the base will hurt the environment and claim they have sacrificed enough for Japan’s security alliance. The prefecture is already home to the majority of US military facilities and about half of the 50,000 American troops in Japan. But the Japanese government think the base is necessary for Japan to maintain the perceived deterrent a US base provides, while citizens on Okinawa see it as an unfair burden. Okinawa has been asked to make the sacrifice for the sake of mainland Japan for years. Okinawa was Japan's only battleground in the final days of World War II, and the island remained under US rule for 20 years longer than the rest of the country.